Robert J. 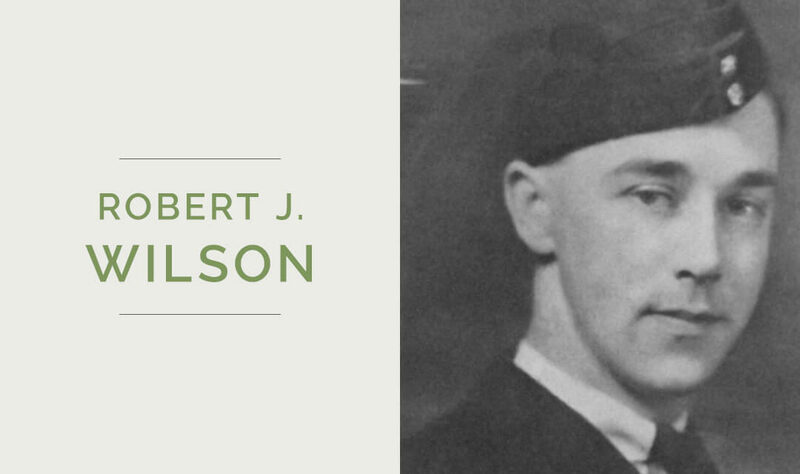 (R.J.) Wilson, was born in Palmerston, ON, to parents David and Sarah Wilson in 1923. During World War II, he enlisted in the Royal Canadian Air Force, and achieved the rank of Warrant Officer Class I Air Bomber as a part of the 102 Squadron. Wilson was popular around town, with the Observer noting that “about 75 neighbours and friends gathered at the home of Mr. and Mrs. David Wilson, Palmerston, in honour of their son [having joined the R.C.A.F.]”. Wilson was killed in action on June 29, 1944, and is buried in the Coeuvres-Et-Valsery Communal Cemetery in France, one of only six World War II airmen buried there. “Robert Wilson Honored By His Many Friends,” The Palmerston Observer, 12 Nov. 1942, 1.